Speed Stick LTE III is available at Gemany carrier Telekom since May 2013, and replaced the first version of “Speed Stick LTE “, which is already well-known in 4G users. The Speed Stick in version 3 is prepared for download speeds up to 150 Mbit/s and thus very future-proof. 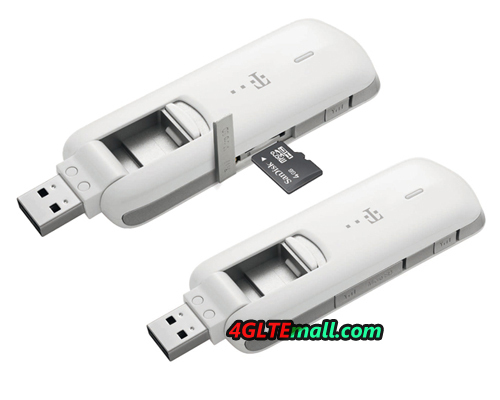 Speedstick LTE III is a LTE Category 4 USB Stick. 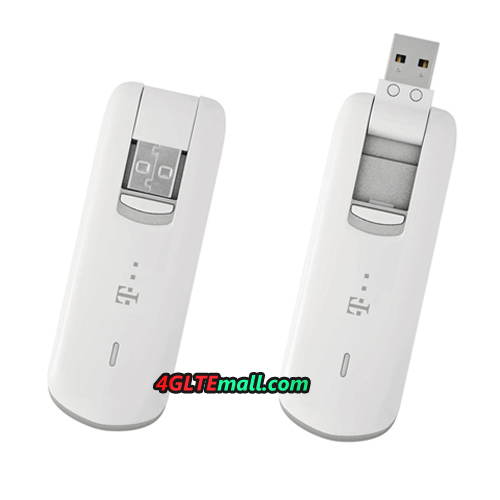 Same as Speed Stick LTE, it ‘s also from the manufacturer HUAWEI, and It also provides connections for external antennas and the possibility to insert a memory card and thus to use the surf stick simultaneously as memory stick. Below are the features, specifications and general review for this 4G Stick. The German Telekom advertises LTE Speed Stick III, which could actually possibly reach download speed even up to 150 Mbit/s (LTE Category 4). To fulfill this down sream, the LTE network of Telekom must also be upgraded accordingly, but so far it has not happened yet. In Germany, you have to surf at around 100 Mbit/s downstream and 50 Mbit/s upstream, while in many other European or Asian countries, higher speeds are possible. For example, the Swisscom LTE in 2013 with the increased data rate offers since the end of May in Switzerland. For use in other countries, the unlocked Speed Stick III is already very well suited Via LTE frequency bands to support 800/900/1800/2100/2600 and UMTS bands around 850/900/1900/2100 MHz. 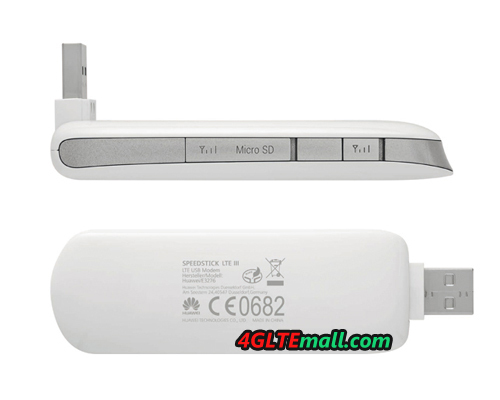 The Speedstick III is from HUAWEI E3276 USB Stick, and there are many variants for E3276, they are born to support various LTE frequency bands worldwide for all the operators. Of course, the Speed Stick III, like its predecessors, will be backward compatible with the UMTS and GSM network available. In 2G GSM/EDGE, network speed up to 236 kbit/s is possible while on the 3G UMTS/DC-HSPA+ network, the download speed could reach even up to 42.2 Mbit/s. As a user, you are not absolutely dependent on LTE to surf quickly. The switch between the different network technologies should be barely noticeable under normal circumstances; it is depending on the radio coverage, on the train or in the car. The software that runs on Windows computers as well as on the Mac OS X operating system that allows a very easy use. With Telekom simcards, no further configuration is necessary. Simply enter the PIN number and the connection is made. If with sim cards from other network operators, to enter a new connection profile in the settings is needed. What’s more, users can also send and receive SMS and view statistics on data consumption and time online. These statistics can be broken down by day or month. 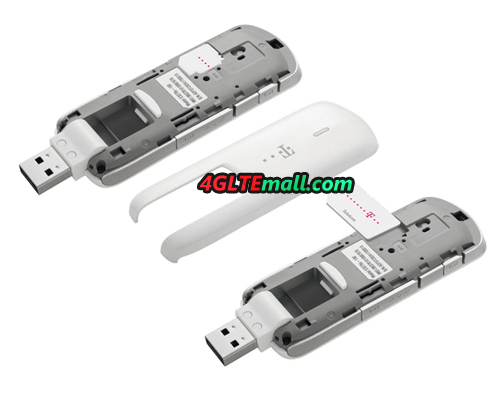 Telekom LTE Speed Stick III is available on the online store of 4gltemall.com . Theoretically, we had made several tests in Hong Kong for the data rate speed. And it’s one of the best and fastest 4G LTE Surfstick available. If you prefer unbranded Speedstick, that it HUAWEI E3276, or want other variant models, welcome to contact sales@4gltemall.com .